Oklahoma City University’s Meinders School of Business will honor three business and community leaders during the 32nd annual Oklahoma Commerce & Industry Hall of Honor luncheon Oct. 25 at the Cox Convention Center downtown. The 2018 inductees are Sue Ann Arnall, president of the Arnall Family Foundation, with the Lifetime Achievement Award; Richard Tanenbaum, CEO of Gardner Tanenbaum Holdings, with the Chairman's Award; and Ronnie Irani, president and CEO of RKI Energy Resources, with the President’s Award. Corporate sponsorships and individual tickets are available. For more information or to make a reservation, contact Cory at 405-208-5540 or mcory@okcu.edu. Registration is also available online on the Hall of Honor page at okcu.edu/hallofhonor. Sue Ann Arnall, an energy industry veteran, created and managed natural gas and oil marketing departments during her 20-year career in the field. Arnall pioneered numerous transportation opportunities and exchange agreements with the major U.S. pipelines, trucking companies, railroads, and refineries. She also managed commodity futures-trading. Arnall is the president of the Arnall Family Foundation, as well as four additional businesses under the umbrella of Essay Management Services, LLC. The foundation works to fill gaps in services for the most vulnerable, children and animals. 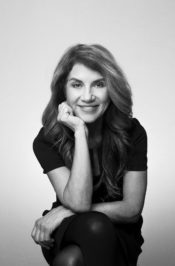 Arnall obtained a BA in economics and a JD from the University of Tulsa, where she serves as trustee. She is a member of the Oklahoma Bar Association, and is on the board of directors for the Central Oklahoma Humane Society, Oklahoma School of Science and Mathematics, and Allied Arts; and is an executive in residence at Oklahoma City University. 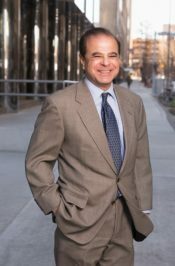 Richard Tanenbaum is the principal owner of Gardner Tanenbaum Holdings and brings over 35 years of commercial real estate experience including development, acquisition and brokerage. Tanenbaum owned and operated more than 18 restaurants in Texas, including the Atchafalaya River Front Café, before joining GTH. Since taking over as CEO, Tanenbaum has vastly expanded the asset base of GTH’s commercial portfolio as well as the company’s capabilities and expertise in different types of construction including industrial, office, retail and multi-family. Since 1997, he has overseen the growth of the company’s commercial portfolio from 800,000 square feet to over 6,000,000 square feet. Tanenbaum has completed over 35 projects totaling more than $350,000,000, making GTH one of the largest developers in Oklahoma. These projects have ranged from single and multi-tenant warehouse and distribution facilities, large single tenant office complexes for companies such as Boeing, Northrop Grumman, a hangar complex for ARINC, as well as over 1,000 apartment units in four different multi-family communities. Ronnie Irani is president and CEO of RKI Energy Resources, LLC, a privately held company headquartered in Oklahoma City. Prior to forming this company, Irani was president and CEO of RKI Exploration & Production, which he had founded in 2005 and built into a multi-billion-dollar enterprise prior to its sale in 2015. Irani has over 37 years of experience in the oil and natural gas industry. Prior to forming the RKI companies, Irani was senior vice president and general manager with Dominion Resources, a fortune 200 company. Prior to Dominion, he served in senior executive positions for Louis Dreyfus Natural Gas Corp. and Woods Petroleum Corporation, both of which are NYSE companies headquartered in Oklahoma City. Irani earned his BS in chemistry from Bombay University, India, in 1977. He also holds a bachelor’s and a master’s degree in petroleum engineering from University of Oklahoma, and an MBA from Oklahoma City University. Irani has also completed the Executive Management Program offered by the IPAA in conjunction with Harvard University. Irani is past chairman and executive committee member of the board of visitors of the Mewbourne College of Earth & Energy at the University of Oklahoma. 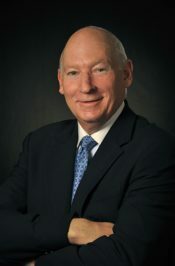 He is a founding board member and past chairman of the Oklahoma Energy Explorers. He serves on the board of directors of The Oklahoma Hall of Fame. He is a past president and founding board member of the India – U.S. Chamber of Commerce of Greater OKC. He is an alumnus of Leadership Oklahoma, Class XXIII and Leadership Oklahoma City, Class XXIX. Irani serves as an independent director on the board of Enable Midstream Partners, LP. In the past, Irani has served on several public and private boards including Quest Resources, Seventy Seven Energy, Inc. (NYSE-SSE), the Greater Oklahoma City Chamber of Commerce, the Integrated Petroleum Environmental Consortium (IPEC), the U.S. Department of Energy Industry Oil Review Panel, the Oil & Gas Compact Commission and the Sarkeys Energy Center.